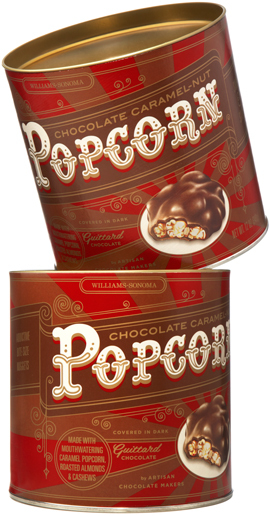 Holiday chocolate popcorn for Williams-Sonoma, part of a large range of seasonal candy products. This decorative design features custom lettering and a colour palette which ties into the rest of the range and feels appropriate for the season. 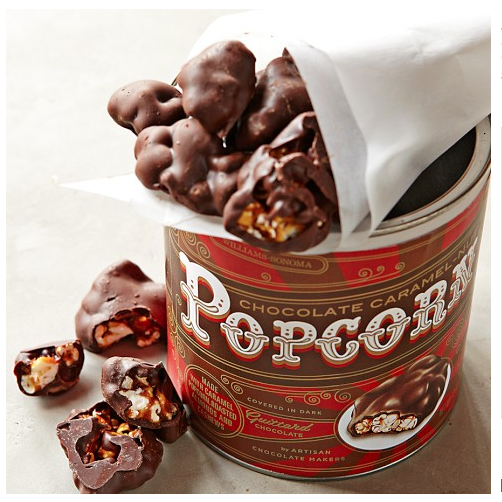 Featured in Communication Arts magazine.